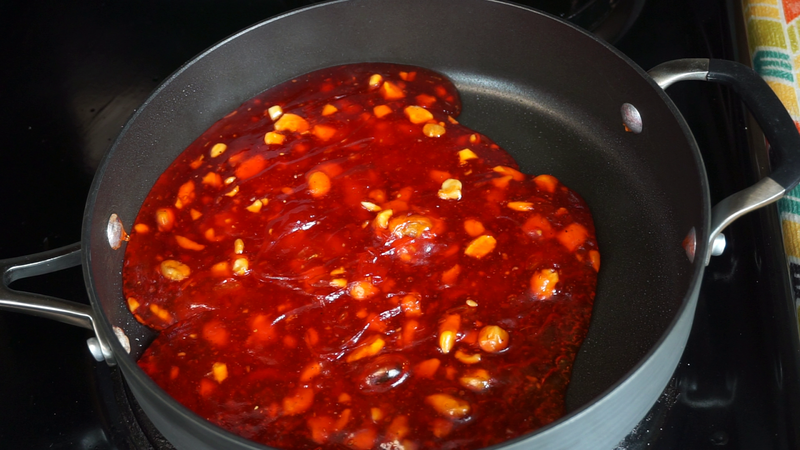 Bombay halwa also known as Bombay Karachi halwa is very easy to make. 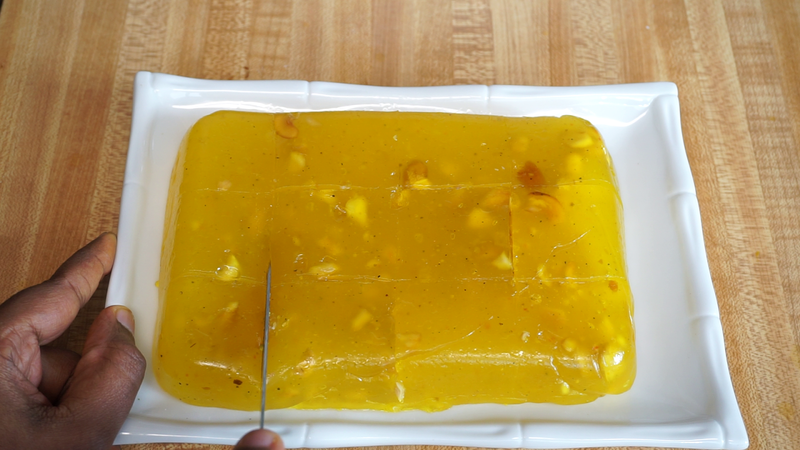 The main ingredients of this halwa are corn flour, ghee and sugar. Bombay halva has a unique texture and taste compared to other halva because generally people think halwas as soft and sticky however Bombay halva has a firm and jelly like texture. The texture of the bombay halwa is determined by the consistency of the sugar syrup and the cooking duration. 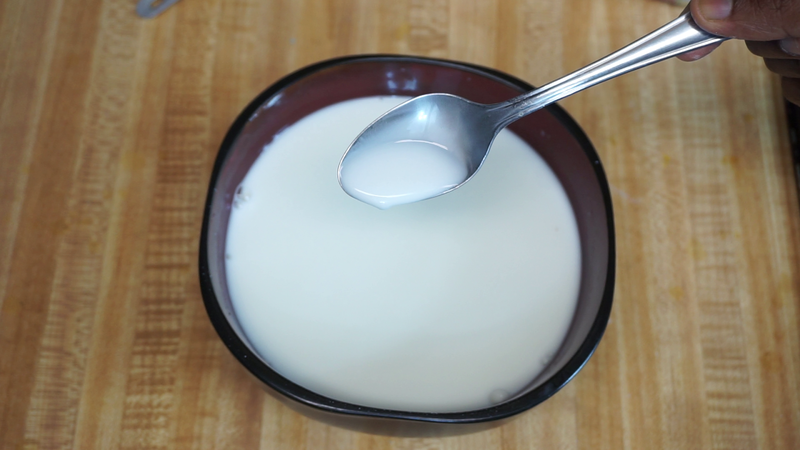 Cardamom powder is added to flavor the halwa and broken nuts are used for decoration. Food color is used for making the karachi halwa visually appealing but it is totally optional. 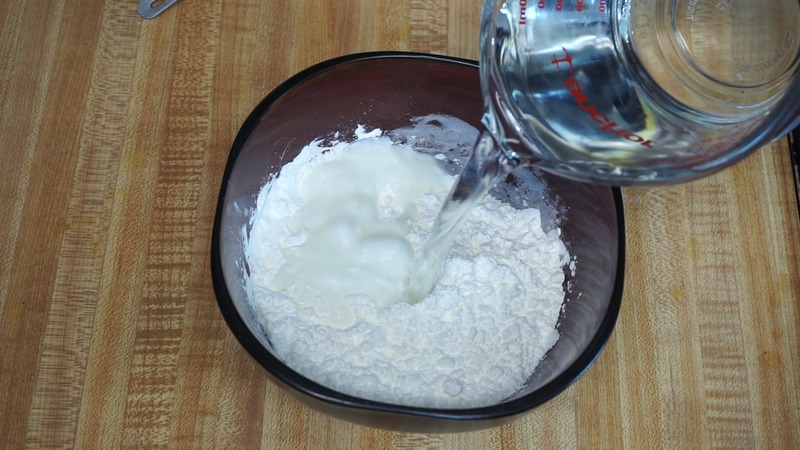 One important thing to note is the corn flour, if you are in the United States do not use corn flour because the corn flour in here is different and will not dissolve in water properly instead use corn starch. 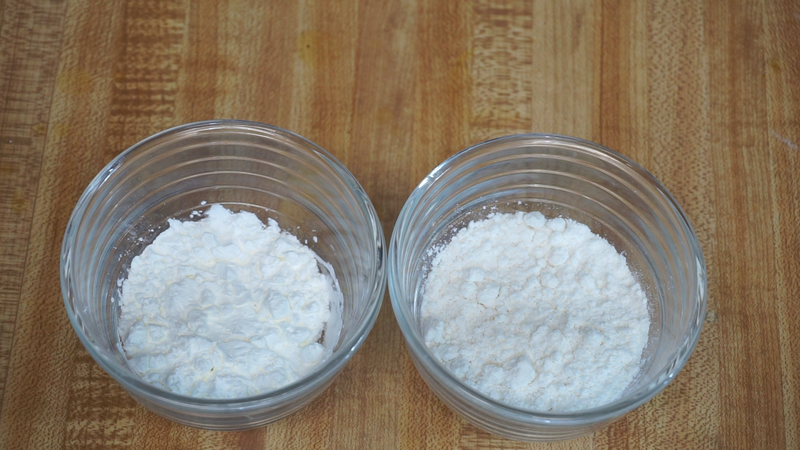 Step 2) Take one cup of corn flour or corn starch depending on your country and mix it with 2 cups of water and keep it aside. 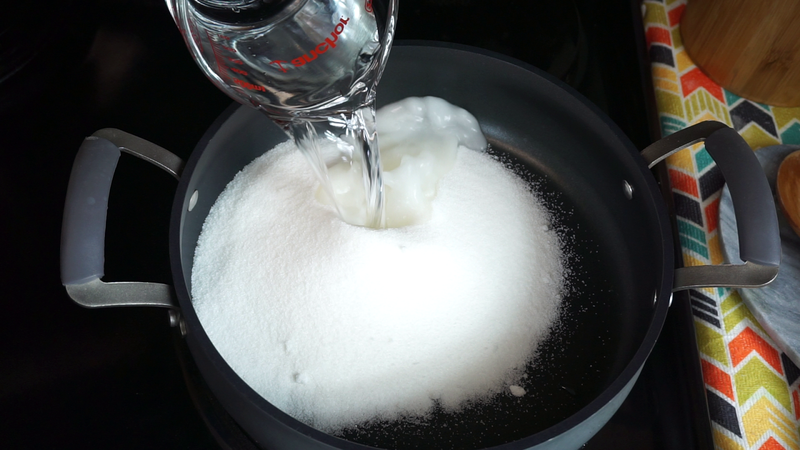 Step 3) In a pan dissolve 2.5 cups of sugar in 2 cups of water and once the sugar dissolves completely add a tsp of lemon juice to prevent sugar crystallization.You can adjust the sweetness somewhere between 2 to 2.5 cups of sugar. 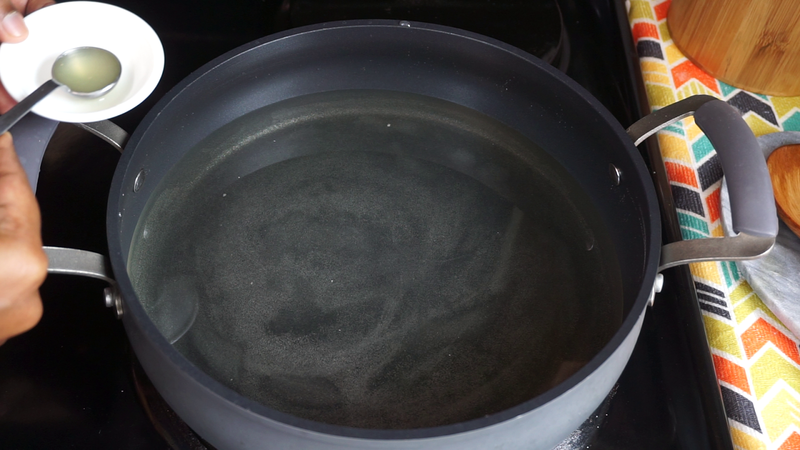 Step 4) Gradually add the corn flour mixture and keep mixing in a medium heat.In around 2-3 minutes you will see some transparent lumps here are there that is absolutely normal.After some time of stirring the mixture will start to set. 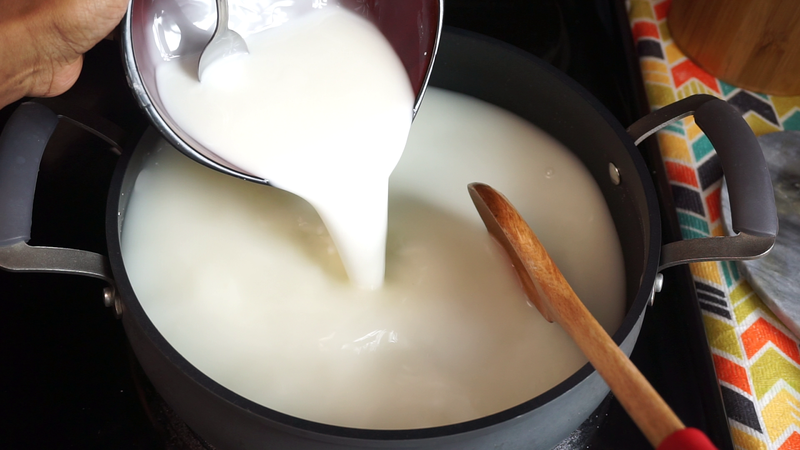 Step 5) Once the mixture sets slowly incorporate 3/4 cup of ghee by adding one tbsp at a time and keen on stirring.It may take around 20-30 minutes to get the proper consistency. Add cardamom powder and some broken cashews and mix that in.Cardamom powder is optional(if you don't like the flavor of cardamom you can skip).you can also add almonds and pistachios. 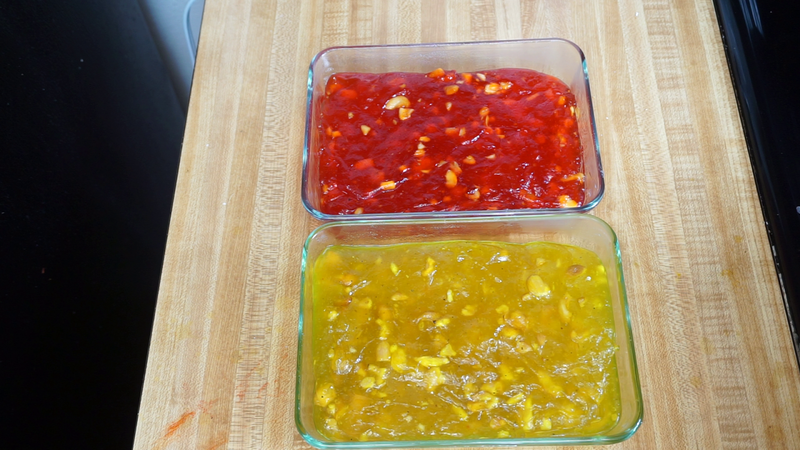 Step 6) The final step is to add color.I am going make in two different colors so divide the halwa into two half and add red and yellow food color and mix well until the color is uniformly distributed. 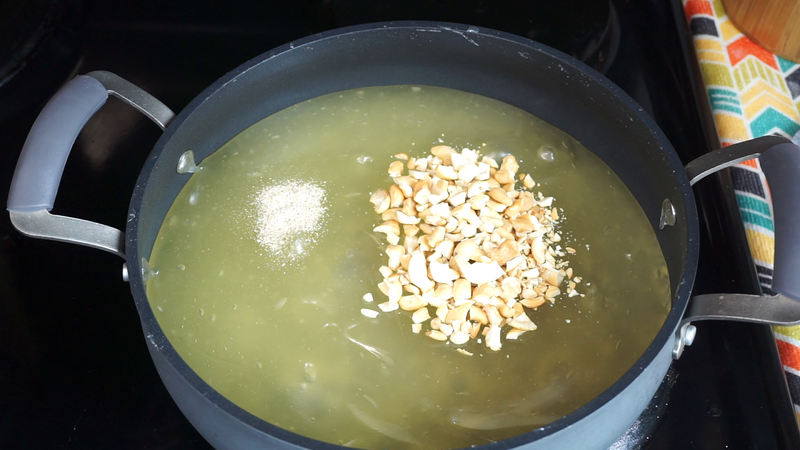 Step 7) Transfer the halwa to a greased plate and allo it to cool for minimum 1 hour.Once the halwa is cooled cut into cubes and enjoy this delicious Bombay karachi Kalwa. Please do try this Bombay Karachi Halwa and share it with your friends and family. This halwa is enjoyed equally by both kids and adults. 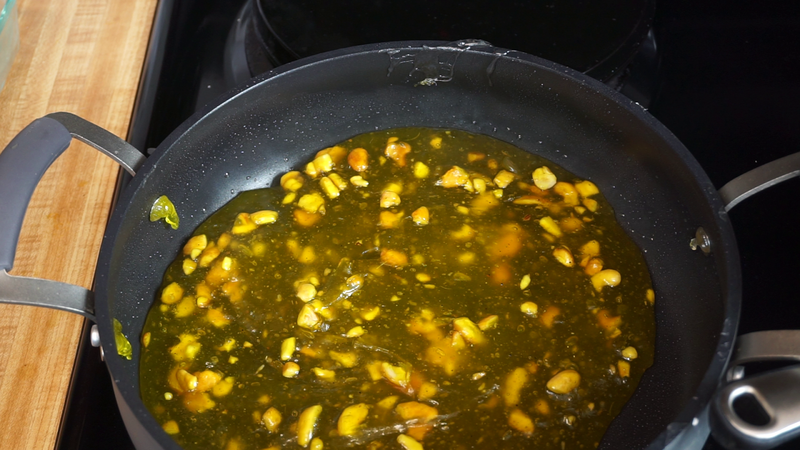 If you enjoyed this recipe you might also like Badam Halwa Recipe and 7 cups sweet recipe . 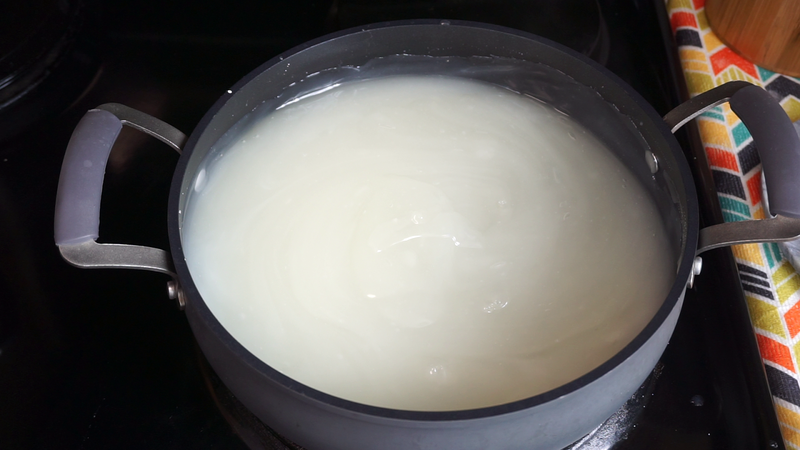 I am sorry about your result.Once you get a transparent layer (it will be formed within 5 minutes after adding the corn flour mixture) start adding the ghee gradually and keep on stirring on a medium heat. 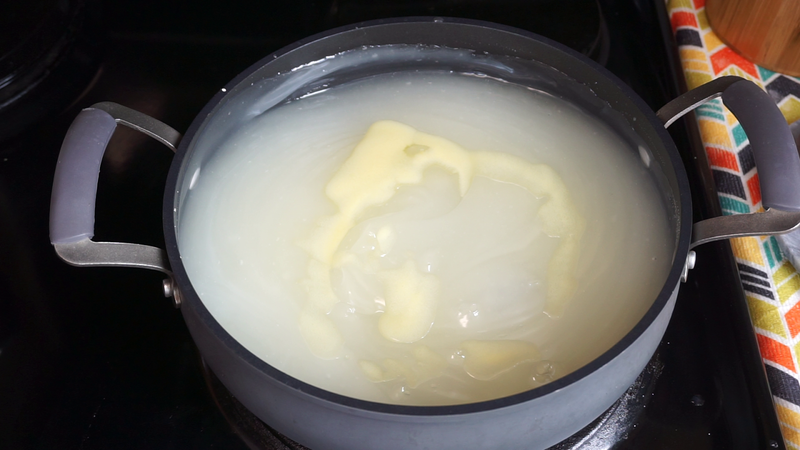 Initially all the ghee will be absorbed and after 20 minutes of stirring the ghee will start to ooze out.once you see slight amount of ghee oozing turn off the flame.If you cook further then all the ghee will be oozed out and you wont get the proper consistency and the halwa will not set.